John Harrison, new principal at Rockland High School, has published his second weekly update on his blog. Go to http://rocklandhs.blogspot.com/2016/08/rhs-community-weekly-update-2 to see the latest information for the beginning of school and for the week ahead! Also, information about new staff members is included for students who might have one of the new teachers! Go to Principal Harrison’s blog for all the back to school information that you will need!! If you like the idea of sitting outside on a summer day listening to the sounds of classic and contemporary jazz, an upcoming, family-friendly, community event in Rockland may be just for you. 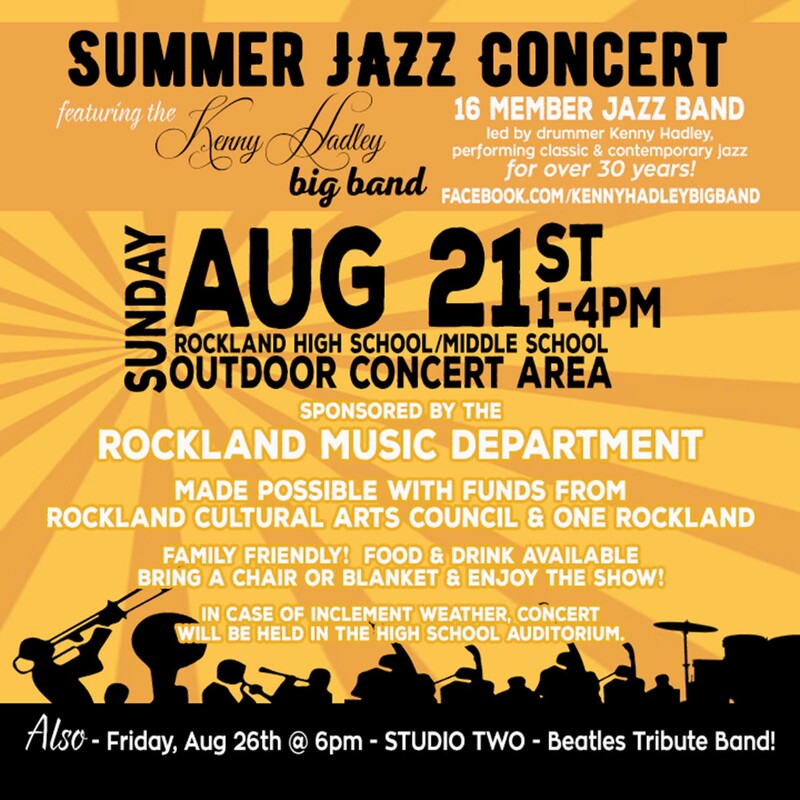 Hosted by the Rockland Public Schools’ Music Department with funding by the Rockland Cultural Arts Council and One Rockland, the Kenny Hadley Big Band will perform on Sunday, Aug. 21 from 1 to 4 pm at the Rockland High School/Middle School outdoor concert area. Admission is free. 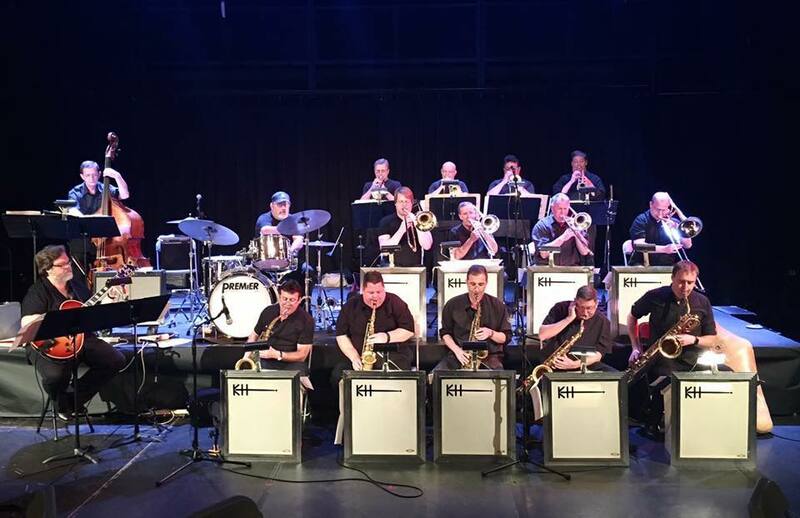 Drummer Kenny Hadley’s 16-member jazz band has performed classic and contemporary big band jazz selections for over 30 years. The band’s musicians have extensive resumes that include playing with some of the biggest names in jazz, including Woody Herman, Count Basie, Stan Kenton, Maynard Ferguson, and Buddy Rich. Some members also perform and travel with the Boston Pops Orchestra, and the band also has played at the Boston Globe Jazz Festival. For more information about the Kenny Hadley Band go to the band’s Facebook page. Kenny Hadley Big Band scheduled to perform on August 21 from 1-4 pm at Rockland Middle School outdoor concert area. On the following Friday evening, Aug. 26 at 6 pm, a Beatles tribute band, Studio Two, will perform at the same venue. For more information about this event go to this link. For the Rockland community it will be two opportunities to enjoy live music, geared to all ages. Bring a lawn chair or blanket, sit back and enjoy the shows; food and drink will be available. In case of inclement weather, the concerts will be held in the high school auditorium. What a great way to close out a great summer!